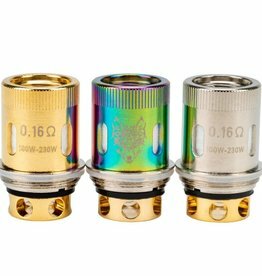 Snowwolf MFeng Kit features the new WOLF Tank with 6mL maximum eJuice capacity, threaded top-fill, triple bottom airflow control & new SnowWolf MF Coil System. 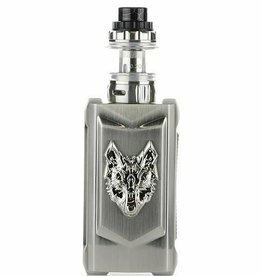 SnowWolf VFeng 230W TC utilizes the SnowWolf chipset capable of 10 to 230W of output & full temperature control support. 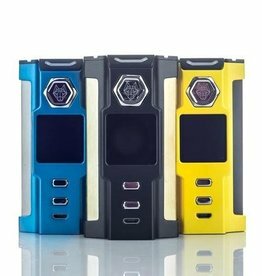 Available in yellow, blue and black. 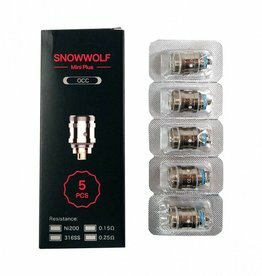 Replacement coils for the Snowwolf Mini Plus OCC is available in 5 pack with resistance of 0.25 Ohms.